Throughout this series we've examined four factors that impact how your cannabis strain turns out: the strain's genetics, the environment in which it's grown, the growing techniques used, and the harvesting methods. Today we'll wrap up our series by exploring yet another factor that can impact your strain: the curing process. Once the cannabis plant has been harvested, it's ready to be dried and cured. The cure can be the difference between good cannabis and truly exceptional buds. As cannabis cures, the cannabinoid compounds in their acidic composition mature through the process of decarboxylation, transforming them into their psychoactive state. 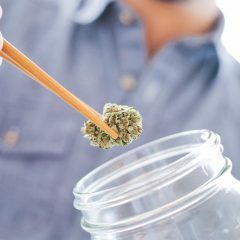 There are many techniques and styles to sufficiently cure cannabis, but the most widely accepted method is to cure in glass jars, slowly releasing or “burping” any excess moisture content that builds up over the first phase. Once the excess humidity has been removed, the contents of the jar are sealed and left to temper, sometimes for months, before it is ready for consumption. The curing process influences the outcome of the strain in a number of ways, most notably its flavor. 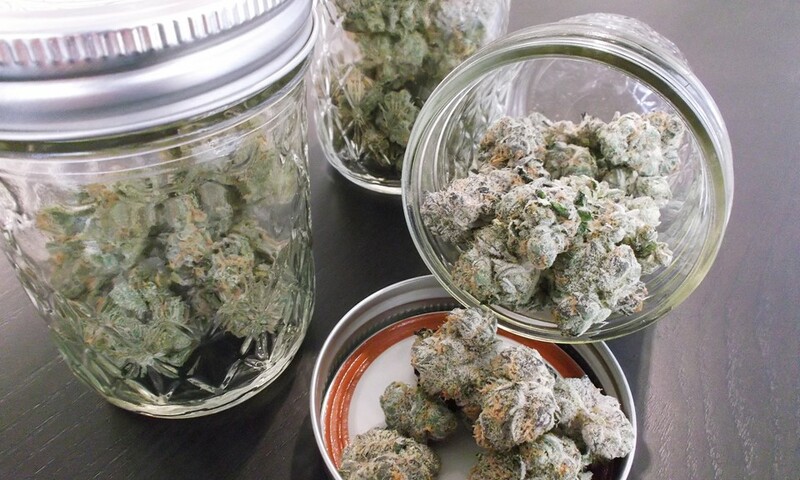 A proper cure will break down the grassy flavors that are generally attributed to residual chlorophyll in fresh buds. Long-cured cannabis also has the potential to enhance some of the more understated flavors of the individual strain. Cannabis curing is similar to the way a banana continues to ripen on your kitchen counter — as the colas lose their moisture content, the metabolic process continues, giving an enhanced sweetness to the strain. Appropriate curing with attention to the strain’s relative humidity will also minimize the chance for mold or mildew to infiltrate and contaminate the harvest at high humidity. It can also help reduce the harshness attributed to under-hydrated cannabis. There are many other circumstances to explore when discussing considerations that affect each strain of cannabis, but our five-part series should give you an idea of just how critical each detail is. There are many different approaches to growing cannabis, and all hold their own value. With attention to detail and experience, you can begin to notice these subtle differences and understand the nuances that each strain holds. If you missed the other parts to our series, catch up on them now! How Does Humidity Affect Your Cannabis? hi all!! I had a great grow last year, just some seeds i had, no clue who the girls were. I cured it and put it in jars. I still have alot left cuz it didnt seem all that good when I smoked it right after curing. But now, a year almost later, that same pot is so much more potent! So does long time curing make pot stronger, like aging wine? if so, how? i dont imagine much cannabis gets to age like mine did, so Im wondering if anyone else noticed this? How long should I keep “burping” the jars to finish curing? Hi, hey I’m no expert but I did read that certain strains do get stronger and better tasting with age, but other strains can also get weaker. So you got lucky and obviously have the strain which gets better with age. Too bad you don’t know what it is, I’d like to grow some of that. And to answer you question about how to burp, you want to burp until the inside of the jar maintains between 58% and 62% humidity. 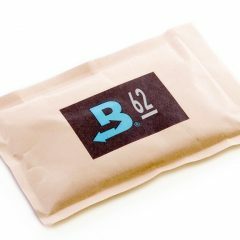 The best way to measure that is with a jar that has a hygrometer installed in the lid(check the interpinator website) or burp until dry and throw in a 58% or 62% humidity packet. 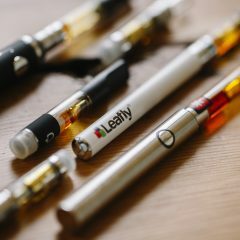 Those can be found at head shops and at Amazon. I belief their called desiccant packets. Hope this helps.